Park your car and relax. Everything you could want or need is within walking distance, including beaches, restaurants, shops, antiquing, movies, and museums! It's just one mile along the paved beach trail to the world-renowned Monterey Bay Aquarium, historic Cannery Row, and the international Outlet Center. 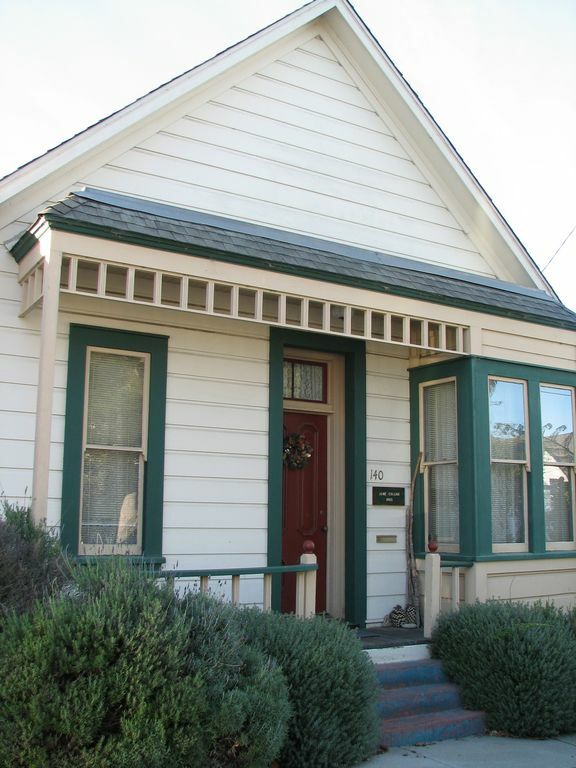 Located one block from Monterey Bay in one of the peninsula's most historic neighborhoods, our three-bedroom/one-bath home accommodates six people comfortably (with two queen-size beds and two twins). The home is off the beaten path, near a tree-lined park, within walking distance of world famous Point Pinos. Amenities include a phone, fax machine, cable TV, VCR, stereo, microwave, cookware, utensils, a charcoal barbecue, linens, and a full kitchen. Special features include prepared meals and picnics, and a fully-stocked kitchen with specialty foods and refreshments, available on request. Activities, on-site or nearby, are numerous and include: surfing (and lessons), biking, nature and historic tours, hiking, birdwatching, fishing, wildlife viewing, horseback riding, golfing (at Pebble Beach! ), tennis, shopping, swimming, snorkeling, scuba diving, boating, sailing, and roller blading. Diving, surfing, kayaking, birdwatching, fishing, whale and sea otter watching on the famous marine sanctuary of Monterey Bay, Lovers' Point in Pacific Grove, Carmel Beach and Bay, golfing at world renowned Pebble Beach, hiking, biking , Bach, Blues, and Jazz music festivals, Laguna Seca races, Concours D'Elegance car show, sale & races, wonderful winery touring, whimsical cottages in Carmel-by-the-Sea, Victorians in Pacific Grove, adobes in Monterey and mansions in Pebble Beach----It's all close and accessible. Walk to shops and restaurants, world famous Monterey Bay Aquarium, or John Steinbeck’s Cannery Row. See how the vast majority of the Monterey Peninsula waterfront is open and accessible.